Nutrient enrichment from nitrogen, phosphorus, and sediments in surface water runoff can increase the growth of aquatic plants, algae, and bacteria in ponds. Therefore, an important BMP is to maintain a riparian buffer around surfaces waters to filter the nutrients and sediments in runoff. By regulation, fertilizers cannot be applied within 15 feet of waterways. This setback is reduced to 10 feet if a drop spreader, rotary spreader with deflector, or targeted spray liquid is used to apply fertilizer. 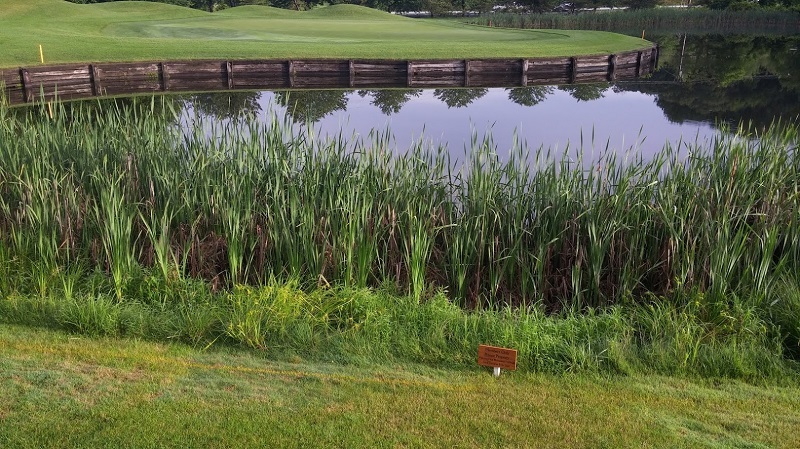 Other management practices, such as establishing a special management zone around pond edges, can assist in efforts to prevent nutrient enrichment and sedimentation. Maintain a riparian buffer to filter the nutrients and sediment in runoff. Reduce the frequency of mowing at the lake edge. Collect clippings or direct them to upland areas. Maintain the required setback distance when applying fertilizers near waterways. Maintain water flow through lakes if they are interconnected. Establish wetlands where water enters lakes to slow water flow and trap sediments. Maintain appropriate erosion and sedimentation controls on projects upstream to prevent sedimentation and nutrient enrichment. 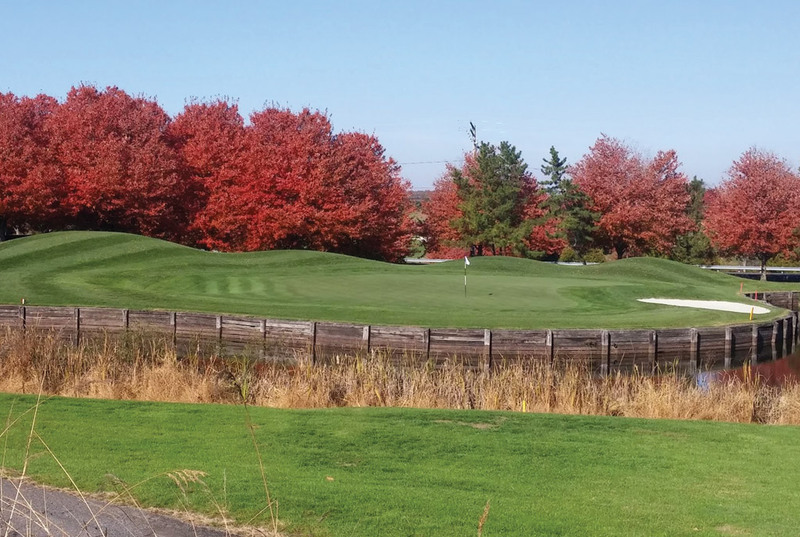 Manipulate water levels to prevent low levels that result in warmer temperatures and lowered DO levels. Aerate ponds. Dredge or remove sediment before it becomes a problem. Maintaining riparian buffers around waterbodies protects water quality. Photo credit: Chris Harriman.